Should pay attention to This enhanced Alarm Output and Integrated Fire Control Expansion Panel only can compat with the Lu-Vision’ series controller, and the software should be V6.6 or higher version. Output and input 1 input and 4 output. You can specify which function to which door of the controlled area. 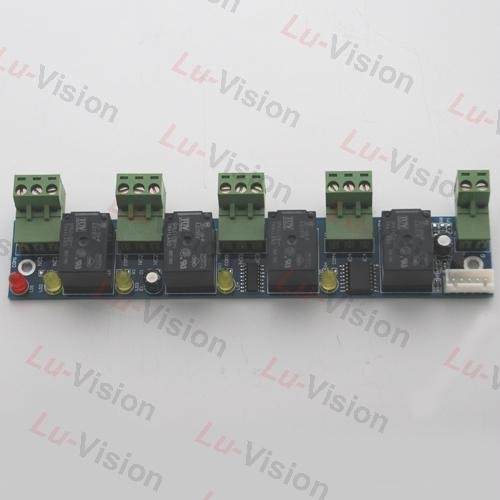 can connect with fire alarm and other alarms and bells, when fire signal received, doors in the controlled area will be open automatically, and fire alarm will be recorded.